Trump’s Pentagon may create don’t ask, don’t tell for trans troops. Secretary of Defense Jim Mattis (right). In 1992, Bill Clinton won the White House having assured an LGBTQ audience, “I have a vision, and you’re a part of it.” Included in Clinton’s pledge was a promise to lift the ban on military service by gay, lesbian, and bisexual Americans “with the stroke of a pen.” Surprised by the strength of opposition to inclusive service, the new president instructed his defense secretary to announce a six-month “cooling off” period to allow for consultations with the Joint Chiefs of Staff, who led the resistance to open service. Smelling blood, social and political conservatives used this window to launch a massive culture war battle that cast gay people as immoral hedonists who, as sexual predators, threatened to undermine our military and hence the nation’s security and the survival of the republic. Late last week, President Trump’s Defense Secretary, James Mattis, announced a six-month delay of a year-old plan to allow capable transgender Americans to enter the military and serve our country in uniform. In a memo that cites the “readiness and lethality of our armed forces” as the overriding standard for determining who may serve in the military, Mattis nevertheless gestured at the real reason for the delay, which was, once again, sought by the service chiefs: to incorporate the “views of the military leadership and of the senior civilian officials now arriving in the Department.” That is, to allow for the crass politicization of military personnel policy. Although Trump promised in his campaign that no one would be a better “friend” to the LGBTQ community than he would, the president has now capitulated without a fight to what amounts to clear obstructionism by the service chiefs. What happened after “don’t ask, don’t tell” was actually scrapped? A follow-up study co-authored by professors from each of the four military service academies found that repeal had “no overall negative impact on military readiness or its component dimensions, including cohesion, recruitment, retention, assaults, harassment or morale.” The conclusions were echoed by a post-repeal investigation by the RAND Corporation, the Pentagon’s go-to think tank for research on personnel issues, which found “no significant problems” a year after ending anti-gay discrimination. RAND noted that the same had been true in numerous foreign militaries which have allowed openly gay service for decades. This, of course, is what the empirical evidence on inclusive military service always predicted would happen. As I found in research for my 2009 book on DADT, military officials and social conservatives essentially made up an argument about threats to unit cohesion and military readiness to paper over anti-LGBTQ prejudice, and the nation quickly accepted it as, well, the word of God. Yet in the age of Trump, the abysmal track record of the Family Research Council and the bogus arguments it advanced, which have now been empirically disproven, don’t seem to matter. FRC, an extremist organization that’s been labeled a hate group by the Southern Poverty Law Center, has the ear of the president, and especially Vice President Mike Pence, who has lauded its founder by calling an interview with him the “greatest honor” of his life. None of this is true. Thousands of transgender Americans are already serving openly (currently serving trans troops have been allowed to serve for a year since the retention ban was lifted under President Obama) and have won plaudits from their units and commanders. The military, along with outside scholars and organizations, have already studied every aspect of trans service and have addressed all the readiness issues that could arise. The fixation on monetary costs and duty-time losses alleged to be incurred by trans service is a self-evident double standard given that no one is complaining about the much higher costs spent on comparable health issues of non-transgender personnel, or the far higher incidence of lost duty-time resulting from the medical issues of troops who are not trans. After the six months, public approval of openly gay service actually fell, driven down by the nasty myths being circulated during the national debate, which research suggests can, itself, have a harmful impact on the wellbeing of the minorities whose very dignity is being deliberated. After Washington switchboards were jammed to the point of shutting down by churchgoers heeding instructions by venomously anti-gay pastors and newsletters, the ban on openly gay service was written into federal statute in the infamous DADT. While it’s possible that the current postponement of inclusive service is a good-faith (albeit ill-informed and unnecessary) effort to simply ensure that the services are prepared for full implementation, if history is any guide, champions of equality must be vigilant about the prospects for exploitation of this delay, which could easily become full derailment. 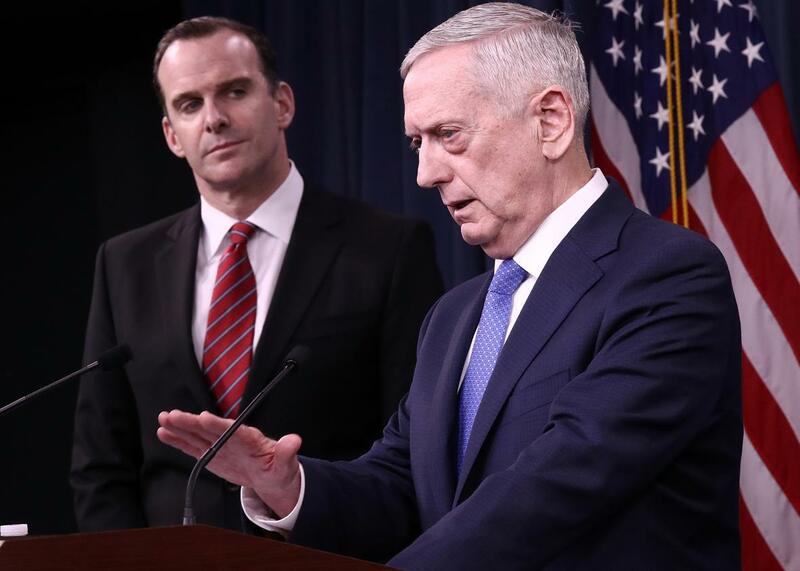 In 2010, when Adm. Mike Mullen, then-chairman of the Joint Chiefs of Staff, called ending DADT a matter of “integrity,” we lived in a time when that word still meant something in the nation’s capital. Today, in a radically different world, we may be one step away from a DADT for transgender troops.